Calling all sophisticated ‘n’ professional women! 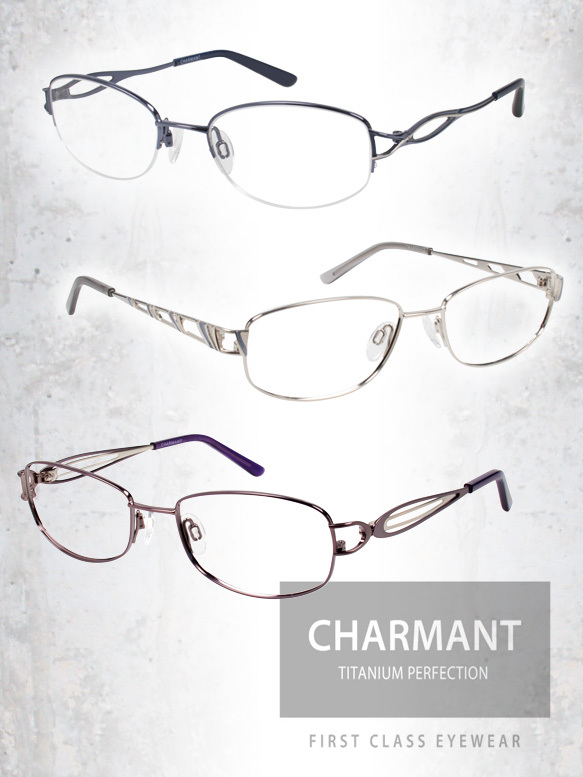 Charmant has created three sleek new eyewear styles for its Titanium collection just for you! Boasting a contemporary and comfortable design, these specs were made to help working ladies look their best as they strive to achieve their goals. Crafted from lightweight titanium, these semi-rimless and traditional oval and rounded rectangular frames couldn’t be more cozy or classy. Meanwhile, chic metallic purple, silver and dark gray colorations, as well as open, twisted and two-toned temples add a subtle dash of refined fair to the glasses! Like what you see? Get more deets here!